Oh and the really big deal? We ordered the crib on Sunday and it already arrived yesterday!!! 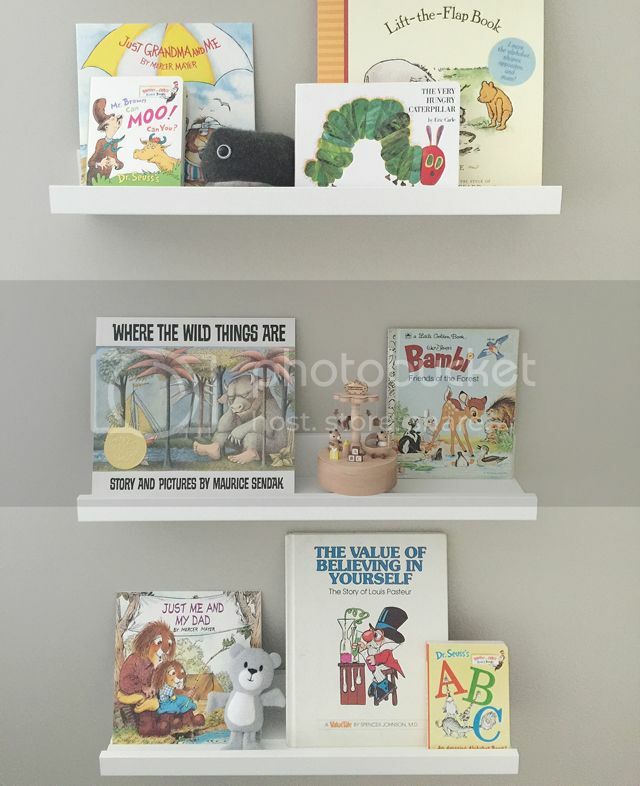 Phew, I was so fearful that I'd be all embarrassed posting a nursery reveal without a crib! Some DIY art, perhaps the doggie silhouette but of our own puppy! Consider adding a mobile above crib??? Not sure on this one! Hop here for my breakfast nook update, and of course check out what's happening with the rest of this amazing ORC group here. Looking pretty! Such a great color scheme and details so far! The room is looking so good Nancy! 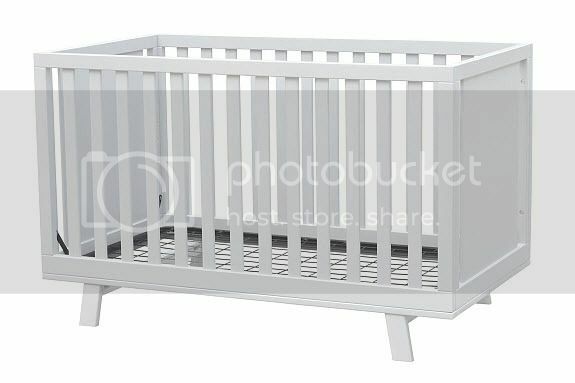 I like the simplicity of the crib and all the personal details are really going to make this room special. I love how it is all coming together! And that book does look good on the shelf! 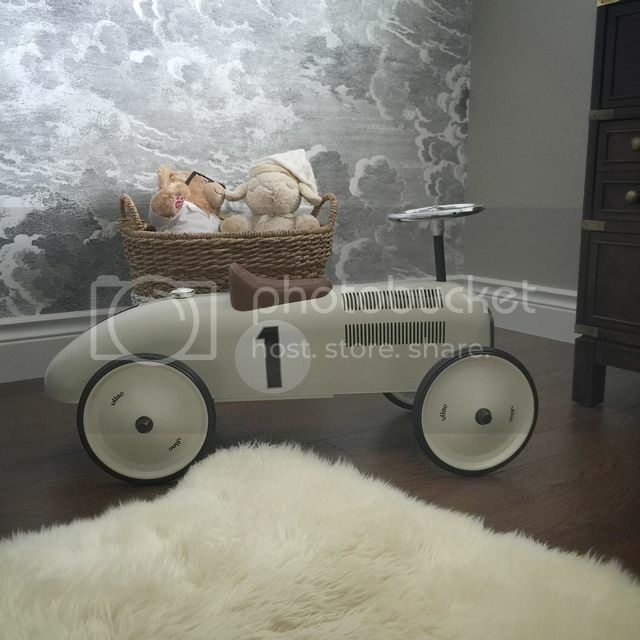 Everything going into this nursery is just Tre's chic! Can't wait! 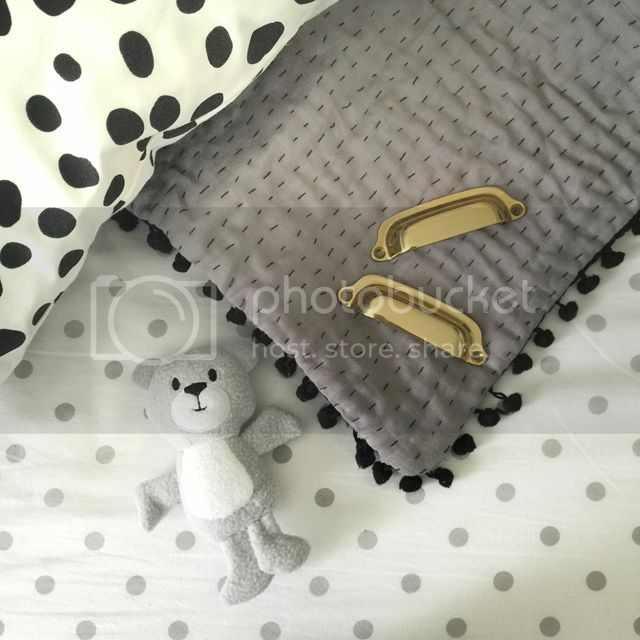 This is going to be such a dreamy, cozy, chic nursery. Dying. That roadster is adorable!!! What a sweet addition to your space.